Bright Coral Reef is a mixed media by Jean Clarke which was uploaded on July 25th, 2016. 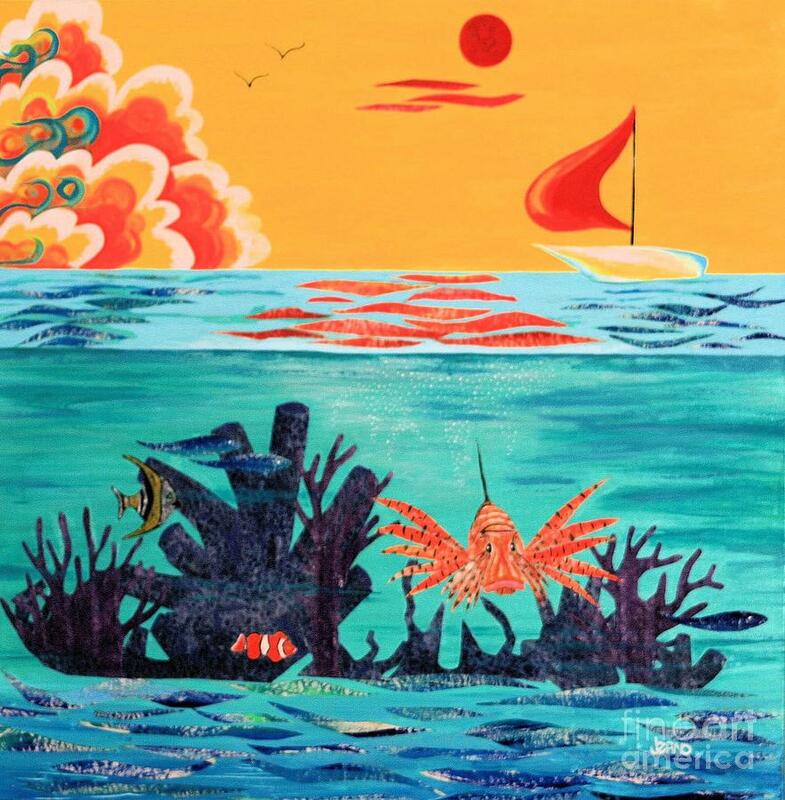 An above-and-below ocean view collage with fish, plants, and a sailboat in bright, tropical colors. Glad you like it. It's one of my favorite collages.